This single post library shelf features JIS-complaint strength against swaying. The rounded shelf design prevents damage to books. Proprietary supports are slim and resistant to twisting, making the shelves both practical and esthetically attractive. 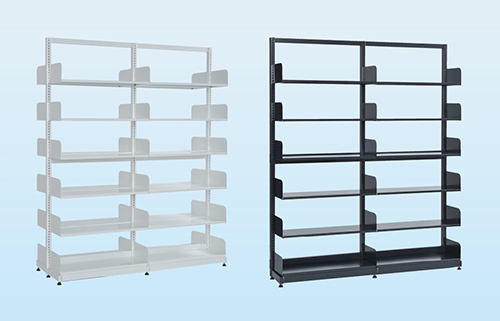 Finished with an antibacterial powdered coating (available in white or black), the shelf is clean and safe. Moreover, the bookshelf can be anchored to walls or floors to prevent toppling in the event of an earthquake. Fall prevention bars and other add-ons are available as options. Uses: Libraries, personal homes, archives, offices, labs, etc. This multi post library shelf features JIS-complaint strength against swaying. This bookshelf comes with decorative panels that can be matched to library or home interiors. The decorative panels can be selected according to conditions of use; i.e., polyester laminate of high cost-performance, melamine coated panel of excellent durability, hollow panel that looks like natural wood, etc. Options that are both practical and esthetically attractive are available. 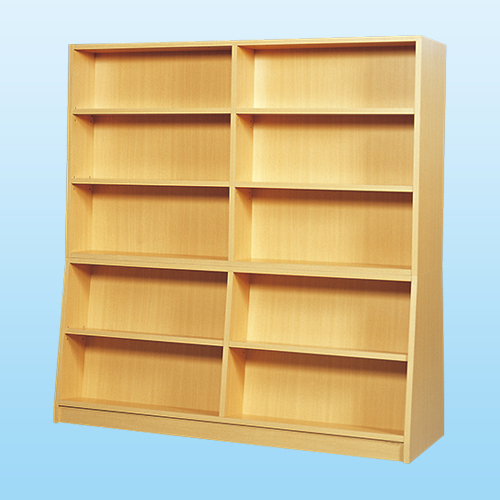 Bookshelves also come standard with wall and floor brackets to prevent toppling in the event of an earthquake. Fall prevention bars and other add-ons are available as options. Uses: Libraries, personal homes, offices, etc. 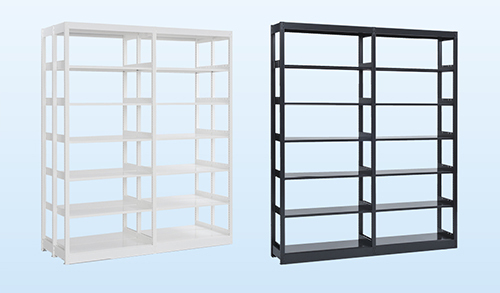 This stackable bookshelf is built with the supports of the single post library shelf and steel flooring. 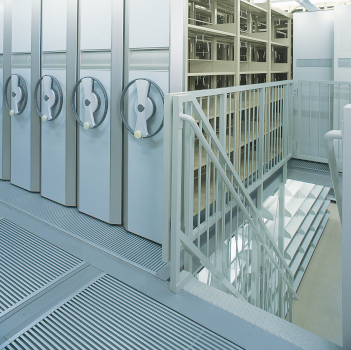 It enables large volume storage for libraries with large collections. 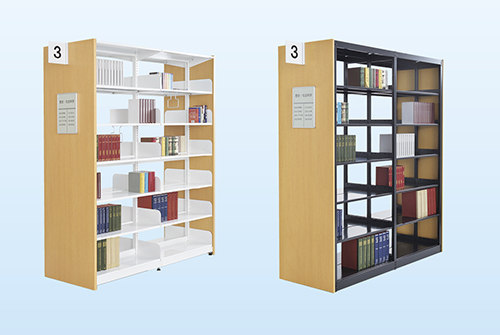 The bookshelf can be customized to user needs. Uses: Library stack rooms, bank stockrooms, university archives, etc. This bookshelf is made of wood. Diverse variations can be assembled using the basic units. The bookshelf is packaged and shipped in basic units, which makes it easy to transport and assemble. Uses: Library reading rooms, classrooms, etc.